The first issue of the national TV Guide magazine was published 65 years ago today. 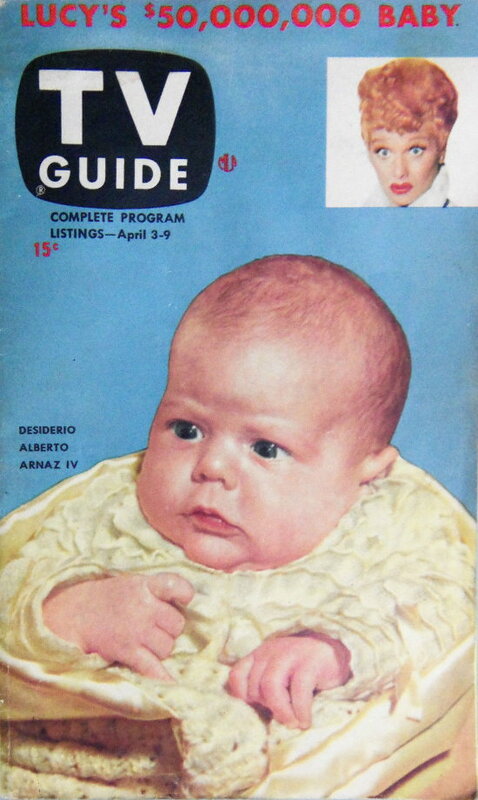 The April 3rd, 1953 issue featured Desiderio Alberto Arnaz IV (better known as Desi Arnaz Jr.) on the cover. The new magazine launched with a circulation of 1.5 million in 10 cities. For the six months ending December 31st, 2017, TV Guide had a circulation of just 1.3 million (down from 1.8 million for the six months ending December 31st, 2014). 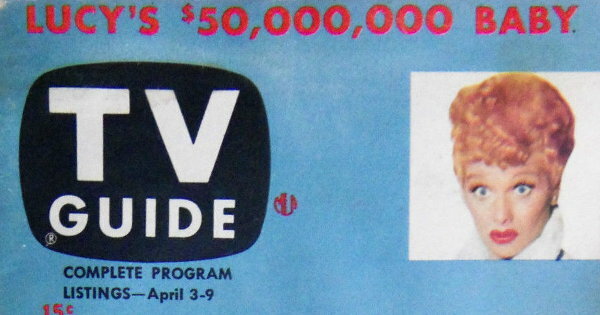 At its peak, TV Guide reached close to 20 million readers every week. Desiderio Alberto Arnaz IV (“Lucy’s $50,000,000 baby”) on the cover of the first national TV Guide, published April 3rd, 1953. 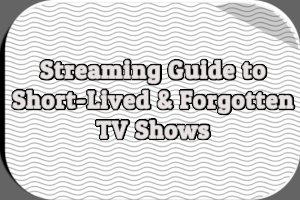 This is your new TV Guide. It brings a new concept to magazine publishing just as television has brought a new concept of mass communication to America. Up to now, many magazines have been distributed throughout the United States, while others, devoted to material of local interest, have been circulated in limited areas only. 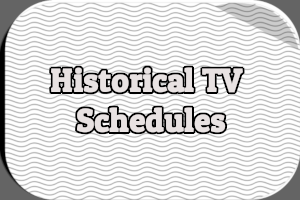 Television’s growing importance in our daily lives brought a need for accurate and complete station schedules printed in convenient form. 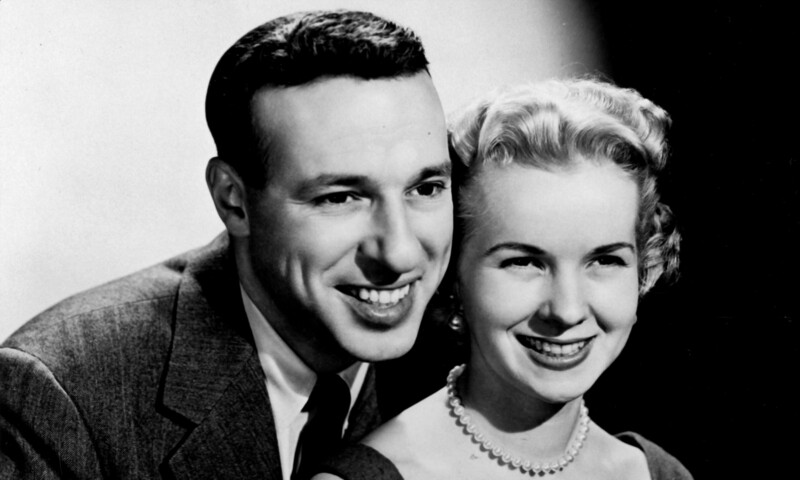 In nearly every city served by television, this need was soon filled by weekly magazines which in essence were theater programs–programs for the millions of home theaters created by television. Because television signals carry for comparatively few miles, the magazines were purely local affairs that circulated only in the area served by one city’s stations. Thus TV Digest served the viewers of Philadelphia, TV Forecast served Chicago, TV Guide served New York. Now, under the name TV Guide, these publications will become national as well as local. They will continue and, in fact, expand their local listing pages and their news columns. In addition, the new TV Guide offers readers throughout the Nation news, features, and columns by staffs of writers in the television capitals. As a national, as well as local magazine, TV Guide will make use of the most modern printing facilities, bringing readers four-color pages–as a prelude to the day when television itself will be in color. What can you expect of the new TV Guide? Just this: your magazine is dedicated to serving constructively the television viewers of America. By serving the viewers, and increasing their enjoyment of the medium, we will be serving the entire television industry. 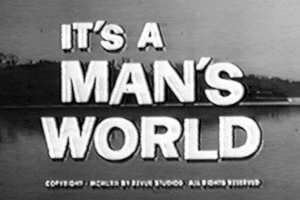 There were also reviews of NBC’s Robert Montgomery Presents and Time to Smile (an umbrella title for The Alan Young Show and The Ken Murray Show), a picture story on Walter Winchell, a profile on Herb Shriner, and more. It’s so nice to have a GUIDE around the house! It’s so convenient. A subscription to TV GUIDE means it’s always there when you want it. It means you’ll see all the best shows because you’ll know, days in advance, when and where they’ll be on. When TV GUIDE comes regularly, once a week, it means you get to know the television personalities, how TV works behind the scenes, what new shows are being planned, what new stars are rising. A subscription to TV GUIDE–the most complete, most interesting, most informative TV magazine–means you’ll get the utmost pleasure from your television set, every week and every day of the year. It isn’t hard to have a GUIDE around the house. It’s really very easy. Use the coupon you’ll find inside to order your subscription, at the low subscription rates. Send it in today. Your subscription will start immediately. To really enjoy TV, read TV GUIDE. It’s unknown how many copies of this first issue still exist. You can usually find a few copies on eBay, some with address. That suggests subscribers to the magazine’s precursors had the opportunity to subscribe to the new magazine. Is it possible someone who subscribed to the very first issue is still receiving TV Guide today? Assuming they started subscribing at the age of 20 and the magazine is 65 years old, they would have to be 85. And living in the US or Canada, at home, or at least a place where they would get mail. So it is technically possible, although most subscribers from that time would have passed away. Highly doubtful about an original subscriber would be alive, but a child or a grandchild could! Btw, isn’t this the same article published for previous anniversaries? 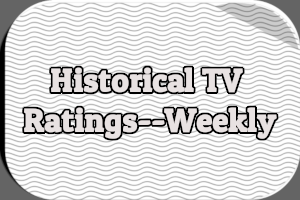 Yes, I have published posts similiar to this one marking previous TV Guide anniversaries. There are currently about 558,000 U.S. World War 2 veterans still alive, so it’s not that unusual to have people live to be about 90 years old — old enough to have subscribed to TV Guide in 1953. But would people who subscribed 65 years ago still be interested in today’s version of the magazine? I haven’t seen TV Guide in years, but I believe it now has only limited television schedules, and whatever fills up the remainder of each issue may not be geared towards people collecting Social Security benefits. But it could be that senior citizens are the only demographic group still watching a lot of television. So perhaps there are some original subscribers still interested in poor old (once popular) TV Guide. True, today’s TV Guide bears little resemblance to the TV Guide I grew up with. However, I think at one point TV Guide offered lifetime subscriptions, so there could be some 1953 subscribers on the rolls. People can live past 100, but by that age they’re often living in a nursing home. The possibility right now that someone could still get it is still fairly good, but in 10 years that could change dramatically. 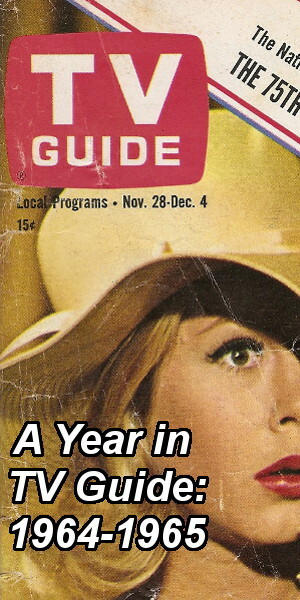 It’s hard to even say if TV Guide will still be in print on it’s 75th anniversary. My dad was a TV newsman, and one of the perks of his job was that he got a free copy of TV Guide every week. I eagerly awaited it every Friday and usually read it from cover to cover over the weekend. The TV Guide Crossword is the only crossword puzzle in which I was proficient.